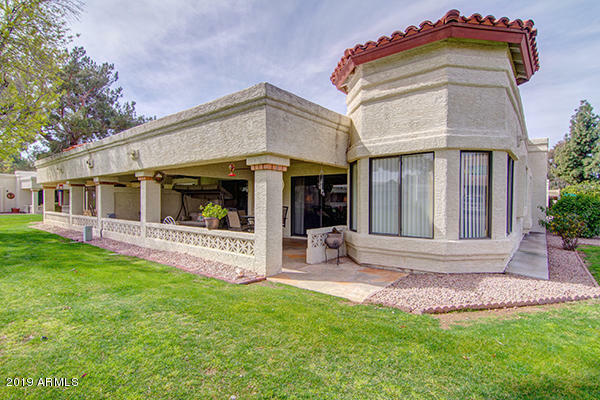 All FOUNTAIN OF THE SUN PAR 1 homes currently listed for sale in Mesa as of 04/23/2019 are shown below. You can change the search criteria at any time by pressing the 'Change Search' button below. "BEAUTIFUL MATER PLANNED ACTIVE ADULT 55+ GATED COMMUNITY-FOUNTAIN OF THE SUN! COUNTRY CLUB & GOLF COMMUNITY WITH LAKES, TOP GOLF COURSE & POST OFFICE! THIS HOME HAS BEEN HIGHLY UPGRADED AND UPDATED AND FEATURES A SPLIT BEDROOM FLOOR PLAN! BACKS TO A LUSH GREENBELT WITH A LARGE COVERED PATIO FOR RELAXING OR ENTERTAINING!! GREAT LOCATION IN SUBDIVISION! RECREATION CENTER W/HEATED POOL/SPA, EXERCISE GYM, BILLIARDS, CARD ROOM, SHUFFLEBOARD, PICKLE BALL AND LOTS OF PLANNED ACTIVITIES LIKE ARTS & CR"